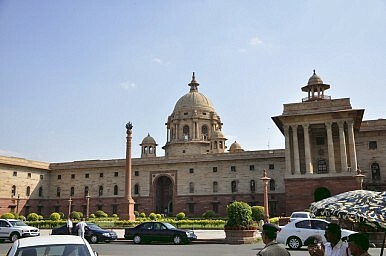 India Inc. stands to benefit from the reorientation of New Delhi’s foreign policy. Indian companies are increasingly investing abroad, and demanding that New Delhi’s economic diplomacy backs their endeavors. The Ministry of External Affairs (MEA) has hitherto largely ignored the pressures resulting from a more internationally oriented Indian business sector and the larger processes of globalization, which have brought economic matters to the forefront of foreign policy. However, plans that foresee people from trade and industry bodies joining diplomatic missions temporarily, recently hinted at by External Affairs Minister Salman Khurshid, suggest that New Delhi is ready to adapt to the new reality. This follows a number of initiatives launched earlier this year by the MEA to better represent India Inc.’s concerns abroad. Economic liberalization in the 1990s brought with it changes in outward foreign direct investment (OFDI) from India. Restrictions were continuously eased from the early 1990s on, albeit at a slower pace than in other areas. Towards the end of the 1990s, the upper limit for investments not requiring approval was raised to 100 per cent of a company’s net worth, before reaching 200 per cent in 2004, among other measures to facilitate OFDI. This allowed India Inc. to invest abroad on an unprecedented scale, with OFDI going up significantly in the early-2000s. The acquisition of Anglo-Dutch steelmaker Corus for $12 billion by Tata Steel in 2007 and of the Africa operations of Zain, a Kuwaiti telecommunications group, for $10.7 billion by Bharti Airtel in 2010 are but two outcomes of this relaxation of OFDI rules. Bearing in mind the current situation of the Indian economy, as well as commercial interests, Indian companies can be expected to continue looking abroad for new opportunities to grow and diversify investments. At the same time, the outward orientation of the Indian business sector has increased the interest of organizations that represent them, principally the Federation of Indian Chambers of Commerce and Industry (FICCI) and the Confederation of Indian Industries (CII), in shaping foreign economic policy. These bodies regularly bring together business leaders and decision-makers, facilitating interaction and allowing companies to voice their concerns with regards to India’s foreign policy and economic diplomacy. More importantly, FICCI and CII also regularly organize forums where foreign and domestic business and political leaders meet and build relations. This, in turn, has increased pressures on the government to develop state-to-state relations. For instance, conclaves and meetings organized by CII and FICCI from the mid 2000s on led to the first India–Africa summit in 2008. Against this background, the MEA’s announcement in May this year that it would draw a roadmap for missions to improve export promotion activities is encouraging and confirms the impression that South Block aims to work on its economic diplomacy. The move came after then Foreign Secretary Ranjan Mathai indicated earlier this year that the ministry would start holding regular meetings with industry representatives to discuss issues regarding export promotion and investments abroad. While such measures are much needed, they only scratch the surface of the issue. Change on two more fundamental aspects is needed just as much for economic diplomacy to move forward. On the one hand, the state needs to move beyond its traditional reluctance to engage with the private sector, a habit of the post-Independence economic regime, which has not completely disappeared twenty years after liberalization. On the other, makers of foreign policy have to internalize and act upon an acknowledgement that foreign economic and political relations are intrinsically linked. The growing number of meetings between external affairs officials and business representatives, facilitated by FICCI and CII, gives reason to believe that the state is becoming less reluctant to engage with the private sector. More important, however, is the growing acknowledgement that foreign economic and political relations cannot be regarded as separate playing fields. This was also highlighted at the last Heads of Missions conference in September 2012, during which diplomats emphasized that free trade treaties and similar economic arrangements reflected India’s desired political ties with the countries in question. These developments provide grounds for cautious optimism about the future of India’s economic diplomacy. Serious engagement with the latter is strongly needed given the global and domestic environment. It is also needed because companies are strategic assets that can help India develop greater influence abroad. Radu Botez is a postgraduate student in South Asian Area Studies at SOAS, University of London, currently working on state-business relations in India and their role in foreign policy making.